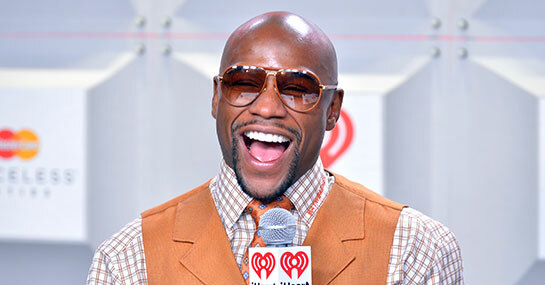 Five-weight world champion Floyd Mayweather Jr. (45-0) has never been shy in courting opinion and his latest move on social media is perhaps one of his most daring yet. Britain’s Amir Khan (28-3) has long been thought of as a viable opponent for the undefeated WBA and WBC light-middleweight champion. A Las Vegas super-fight in May previously attracted headlines following news that Khan had signed a contract to make him a contender to fight Mayweather, with Ladbrokes installing the former two-time world light-welterweight champion as the 6/1 outsider in any potential bout. However, the Michigan boxer and his fans may have other ideas about facing Khan with Argentine Marcos Maidana (35-3) another option. Maidana and Khan contested the Fight of the Year in 2010, as voted by the Boxing Writers Association of America, with the 2004 Olympic Silver Medalist eventually triumphing at the Mandalay Bay Casino and Resort after 12 enthralling rounds. And while both men would be wise to avoid similar swashbuckling tactics against a supreme tactician of Mayweather’s ability, boxing enthusiasts would no doubt still relish the type of spectacle a Khan/Mayweather or Maidana/Mayweather contest is likely to produce. Khan has already suffered knockout defeats to the unknown Breidis Prescott and hard-hitting Danny Garcia in his career, as well as a controversial split-decision to Lamont Peterson. But more recently he’s recovered well to see off the challenges of Carlos Molina and Julio Diaz under the tutelage of Virgil Hunter. The British pugilist is a massive 16/1 to stop Mayweather should the pair meet, while his great rival is more conservatively priced at 10/11 to secure a 27th knockout victory. Similar to Khan, Maidana has had to rebuild his reputation before following defeats. However, it’s El Chino’s most recent victory which stands out, dropping cocksure Adrien Broner to wrestle the WBA Welterweight strap from a fighter many saw as the successor to Floyd’s legacy. Whatever the potential outcome, Mayweather’s poser has further ensured boxing heads on both sides of the Atlantic will continue to eagerly anticipate any announcement about his future opponent.